SportFlashback provides a wide range of innovative technological solutions and concepts in the area of 3D visualisation of sporting events to be used on the web, television, mobile devices and in traditional print media. All these solutions are aimed at providing sports media with brand new tools for their communication with public. 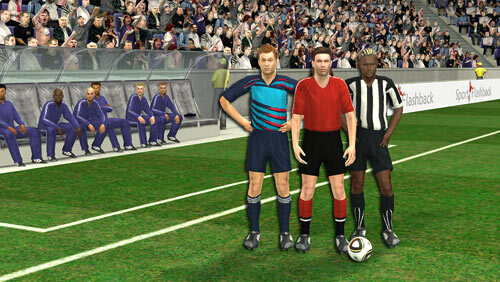 Any sport incident can be very well illustrated by means of 3D scenes enhanced with special effects and graphics. Sportflashback always covers major international football events and traditionally will produce Virtual Replays of the goals and other spectacular incidents from 2018 FIFA World Cup in Russia. Virtual Replays will be produced for online viewing, for access via mobile devices and for broadcasting purposes. Although the customers' demand for 3D visual coverage has been mainly set on the world's most popular sports like football, rugby, American football, ice hockey and some others for the past few years, it is SportFlashback's aptitude and desire to adopt as many other sports as possible and supply quality 3D visualisation through all sorts of mass media (not yet on the radio). Flexibility and quickness in accepting new ideas and resourcefulness in proposing our own concepts create vast opportunities for both customers and SportFlashback developers to present sports coverage in very unconventional ways. The company has been in the market since 2004. Since then and to date the company has been providing products and services in the area of sports visualisation for the world's most famous and reliable sport dedicated media.